instead. And so a life of art and portraits follows. Thoroughly enjoyable. Starting in 1958, Juliet is deserted by her husband and left to raise two children alone. With money meant to buy a refrigerator she pays for a portrait instead. And so a life of art and portraits follows. Thoroughly enjoyable. A moving story of family and a life-long love affair in 1950s London, from theNew York Timesbestselling author ofThe House at Tyneford. London, 1958. It's the eve of the sexual revolution, but in Juliet Montague's conservative Jewish community where only men can divorce women, she finds herself a living widow, invisible. Ever since her husband disappeared seven years ago, Juliet has been a hardworking single mother of two and unnaturally practical. But on her thirtieth birthday, that's all about to change. A wealthy young artist asks to paint her portrait, and Juliet, moved by the powerful desire to be seen, enters into the burgeoning art world of 1960s London, which will bring her fame, fortune, and a life-long love affair. 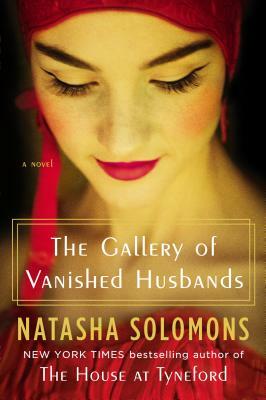 Natasha Solomons is a screenwriter and the New York Times bestselling author of The House at Tyneford, The Gallery of Vanished Husbands, Mr. Rosenblum Dreams in English, and The Song of Hartgrove Hall. She lives in Dorset, England, with her husband and young son."